The Siegel Suites Select, 220 Convention Center Drive, an excellent choice for anyone who wants a cost-effective Las Vegas stay. The Siegel Suites Select Convention Center is a conveniently located affordable Las Vegas hotel, which offers guests the opportunity to have a comfortable and cost-effective stay. 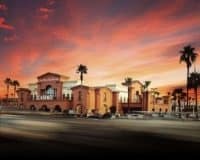 This makes it ideal for business people, due to its links to the Las Vegas Convention Center, although it is a good choice for anyone that wants to stay in Las Vegas without breaking the bank. 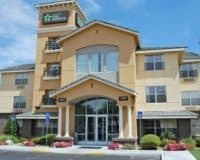 The hotel provides a reasonable range of amenities, including a refreshing outdoor pool that is ideal to go and cool off in, during the sweltering Nevada summers, alongside the usual things like free accessible WIFI and complimentary parking. The friendly staff is also delighted to help guests with all of their needs, especially printing and other business necessities. The rooms are comfortable and functional, offering kitchenettes, where you can wake yourself up with a coffee or whip yourself up a snack before going out for the night. 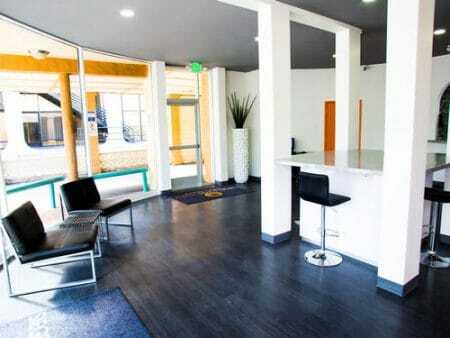 Along with a television equipped with cable, ergonomic work desks and a comfortable seating area, where you can relax. Combined with the usual things that you would expect, like air conditioning, private bathrooms, and soft beds. 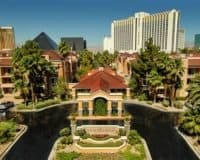 This makes the Siegel Suites Select Convention Center an excellent choice for anyone who wants a cost-effective Las Vegas stay, which is well located and comfortable. No, it is not as opulent as some hotels that you will find in Las Vegas, however, it is efficient and effective. Within a 15-minute walk of Las Vegas Convention Center and Fashion Show Mall. Within 3 mi (5 km) of the University of Nevada-Las Vegas and Thomas and Mack Center.